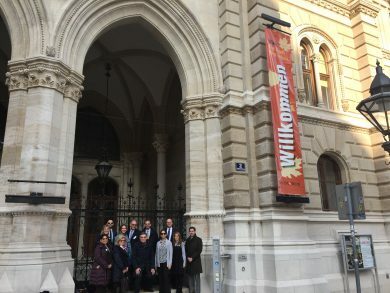 The program includes gatherings and in-depth discussions with representatives of the city of Vienna on current political questions and the culture of remembrance and commemoration. 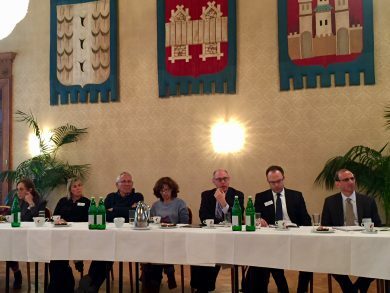 Other program features: a meeting with Austrian foreign ministry diplomats, a guided tour of the Jewish Museum Vienna, a visit to the IKG campus, and a gathering with IKG Vienna representatives. 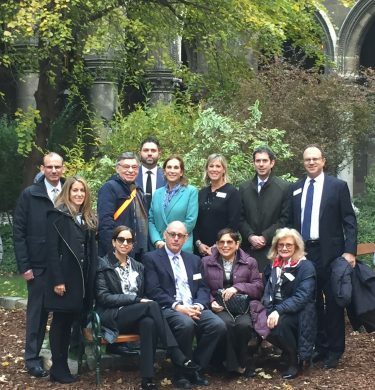 The delegation of AJC New York and Chicago also visited the Mauthausen Memorial and Castle Hartheim and met the journalist and holocaust survivor Karl Pfeifer. For two of the participants, this visit was also an attempt to trace their family: their parents and grandparents were also from Vienna and were able to flee Vienna in 1938. The American Jewish Committee is the oldest Jewish organization in the USA and was founded in 1906. 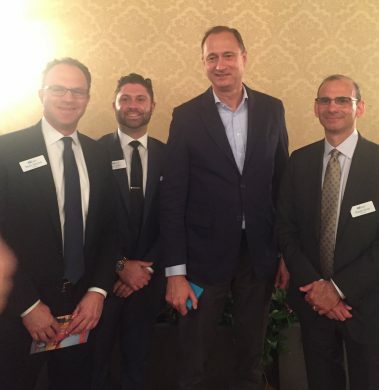 The Jewish Welcome Service previously hosted delegations of AJC and AJC ACCESS (a program for young professionals) in 2012, 2013 and 2015.